Former three division world champion “Sugar” Shane Mosley believes Floyd Mayweather was always terrified of losing and his ultimate career goal, beyond everything else, was to retire undefeated. Mosley fought and lost a twelve round decision to Mayweather in 2010 – but in the second round Mayweather was badly hurt and nearly went down. He recovered well and dominated the remaining ten rounds. Mayweather received similar criticism during the final years of his pro run. He retired back in 2015, after dominating Andre Berto over twelve rounds. But he came back in August 2017, after stopped UFC superstar Conor McGregor in the tenth round of a cross-sport boxing match. On December 31 in Japan, Mayweather demolished kickboxing star Tenshin Nasukawa in the first round of a welterweight contest. The fight was a three round exhibition, fought under boxing rules. But the young Nasukawa usually competes as a super bantamweight [122-pounds] and appeared to be far smaller in the bout. Mosley is not surprised by the McGregor and Nasukawa bouts. 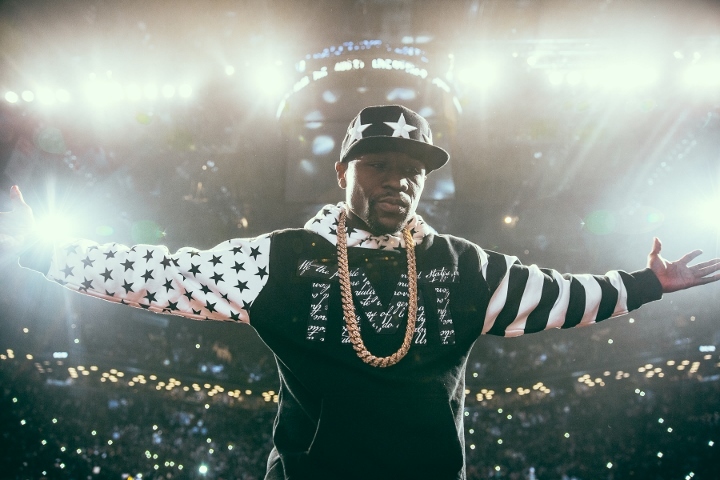 “Floyd is so afraid to lose, and he grew up in a different era. In the era that I grew up in, it was about ‘who is the best and I will fight anybody in my way.’ In Floyd’s era, it was a bout ‘we’re not gonna lose, because if we lose everything is gonna be messed up.’ He wanted to win so bad, and keep his ‘0’ so bad, that he would wait until the guys were at the right time, weight or age…. past their prime or even coming in too young,” Mosley told Fox Sports.